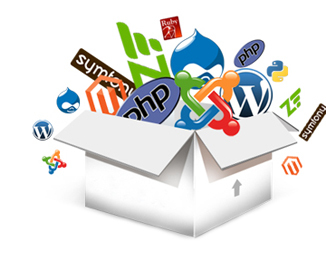 Are you looking for just the right solution in website development? We are extremely pleased to tell you that we offers a full range of practical, low cost script installation service for people with high standards. We can install any scripts which are written in PHP or CGI/Perl e.g. Blogs, CMS, Forums, Directories, Vbulletin, WordPress, Magento, Joomla, Drupal etc. We also offer website transfer and add-on installation such as theme, module, plugin, update, image, logo, banner, tracking code, template, captcha, dynamic menu and widget installation. If you have a website and you don't have the technical knowledge of installing the scripts you want on it and you want to get the script running as fast as possible, then you don't have to worry. We are here to help you. We offer professional, cheap and fast script installation service. Changing the permission for files and directories that requires it. Making the MySQL settings in your script. Create necessary folders on your hosting account. Finally we will test that your script is working well. We offer the best script installation services, in terms of quality, speed and cost. When the installation is complete, we will send all the necessary details about the installation to you.We also provide free consultation for any website related issue. So, if you have questions please contact us. The script installation service does NOT include any bug fixes, script error fixes or script support service for 3rd party scripts. It does also NOT include or cover the installation of any server software like ionCube loader, Zend Optimizer, Mod Rewrite etc. How do I request an install? You may request for an installation by sending email to install@hostonnet.com. In your message, include the name of the script to be installed, your domain name, your account username/password and the directory you would like us to install the script (such as: yourdomain.com/mydirectory/). We will take care of the rest. Your installation is 100% guaranteed to work.Completion times vary, but most of the time, scripts can be installed and ready within 24 hours.